As most of you know one of the reasons I began this blog was because I want to become a health coach. While I like the idea of being a health coach, and I LOVE writing this blog and sharing information, I am not entirely sure health coaching is the right “job” for me. I realized the other day after spending 2 hours with a friend discussing and exploring ways for her to add healthier options to her life, I walked away with a sinking feeling. I don’t like to sit still. I NEED to be moving around. Multi-tasking. Doing busy work. One of the reasons I chose a health coaching certification as an option (I am a few weeks away from my certification exam) is that I felt like it was a good use of combining my degrees in psychology and athletic training. I felt like I needed to stay within those realms or it would feel like a waste. With my youngest approaching full time student next year (hello First Grade, finally!) I figured I would be stepping back into the real world of a paid job. I want to work. I like to be busy. I’d like to know, I, too, can help support the family. But I am struggling with the idea of just getting a job to fulfill these needs, versus finding a career within the scope of my degrees. I mean, what was the point of attending a 4 year college and studying psychology (and art) and then a 2 year graduate program studying athletic training, and never really using either degree? I am sure this is something many stay-at-home parents struggle with as they re-enter the work force after many years of not working (outside the home raising children). What did you do? How did you look at it? 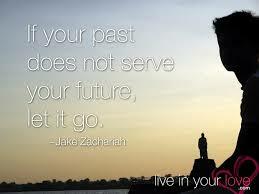 My husband continues to say (every time I bring up this subject on the waste of my degrees), “Let go of the past. We never would have met if you hadn’t gone to grad school”. True, but that was one expensive dating service! I get what he is saying and I truly believe that everything happens for a reason, but even if he and I had never met, married, had children, and I became the stay-at-home parent, I think I would have found myself in this predicament. There are times I wish my parents let me defer that year between high school and college. Maybe I would have used that time to figure out what I wanted to do before I spent time, money, and effort on my college degree. (Sorry, still in this mode of thinking.) Graduate school was my own idea after spending nearly 3 years as a snowboard and tennis instructor/waitress/bartender/nanny. Honestly, I would have continued this lifestyle, except that I didn’t have health insurance from April to November, and I was in a bad car accident which left me with a degenerative cervical vertebrae. At that time I didn’t think I could continue instructing snowboarding since my neck and the rest of my back were in bad shape. From the time I graduated from college I have felt this internal pressure to find a career within my field of studies. But a lot of responsibility and the fear of being held liable deters me from any medical/health related field. As an athletic trainer I was anxious every time I was on the field or assessing an athlete. I don’t miss that aspect at all. I do miss the busy work of taping 20 ankles in a row and the athletic training room banter, but other than that I would not jump back into the field, nor could I after being away from it for years. While I am still interested in health coaching, I realize I need more hands on work that keeps me moving around. Work that doesn’t involve me obtaining professional liability insurance. So I am trying to just “let it go” and relax. My education has served me well in other ways. I use my psychology degree every day rationalizing with my children, trying to understand the behaviors of others, and in general, communicating with people in the real world. I use my athletic training degree often when it comes to medical issues within my family. I don’t pass out at the sight of blood (even when it is pouring down my 6 year old’s face), I treat minor strains/contusions/abrasions on my own, rather than rushing to see the pediatrician, and I am calm when it comes to most medical issues we have seen thus far as a family. My education has served me well. Now if I can just find a decent paying job that is fun, low stress, and keeps me busy, I will be a happy girl! I might just go work at Trader Joe’s! It’s an upbeat, friendly place and the staff always seems to be busy doing something. Maybe I could so some health coaching on the side. That and give talks around the country in regards to mental illness, and write a novel. Oh yeah. Lots of ideas floating around in this head!